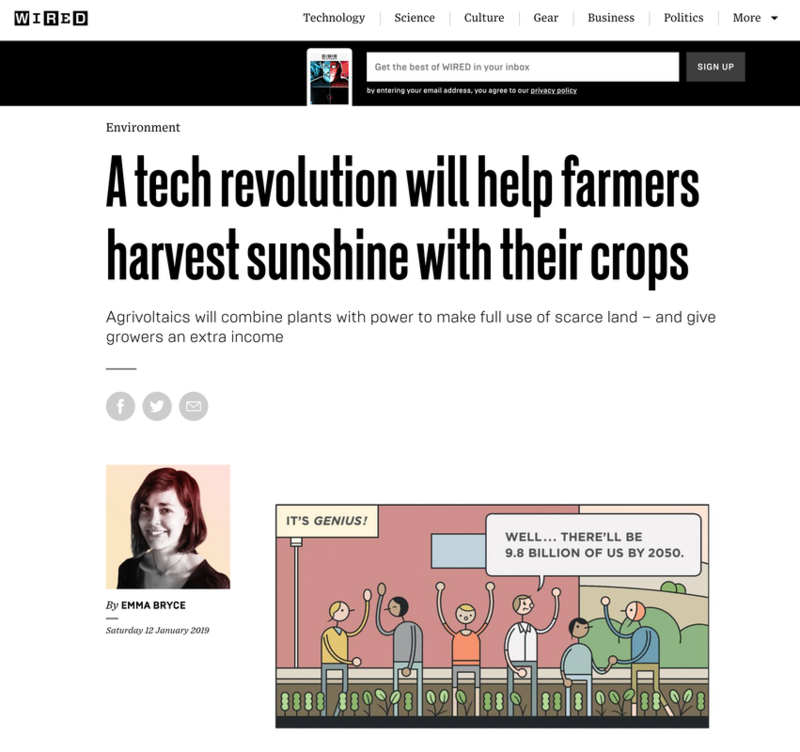 WIRED magazine covered our agrivoltaics research - they even made a comic out of our interview! Super cool! Click this link to the story on the web or Click the article photo below to get a PSF with the full comic strip! 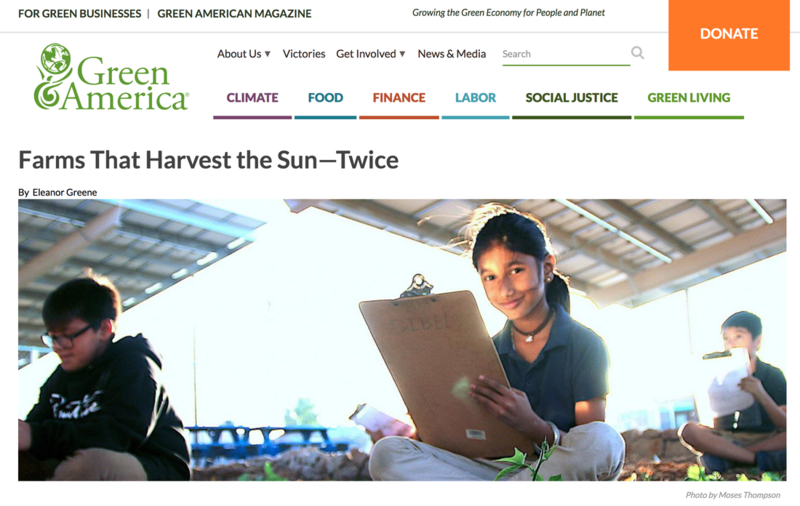 Green America does a great job of contextualizing the need for innovative solutions to our growing problems in generating enough food for a growing population with a shrinking pool of water resources. 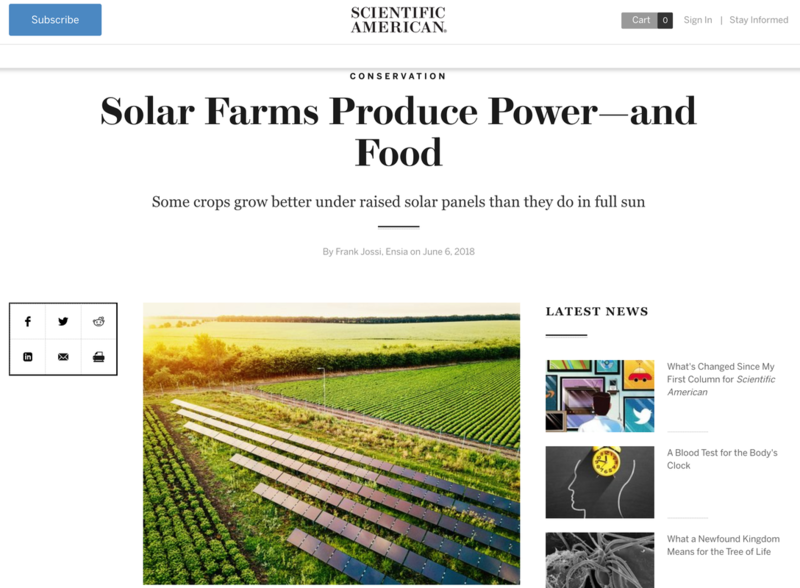 Our educational outreach and research were featured by an agricultural industry magazine: Modern growing Maximum yield! 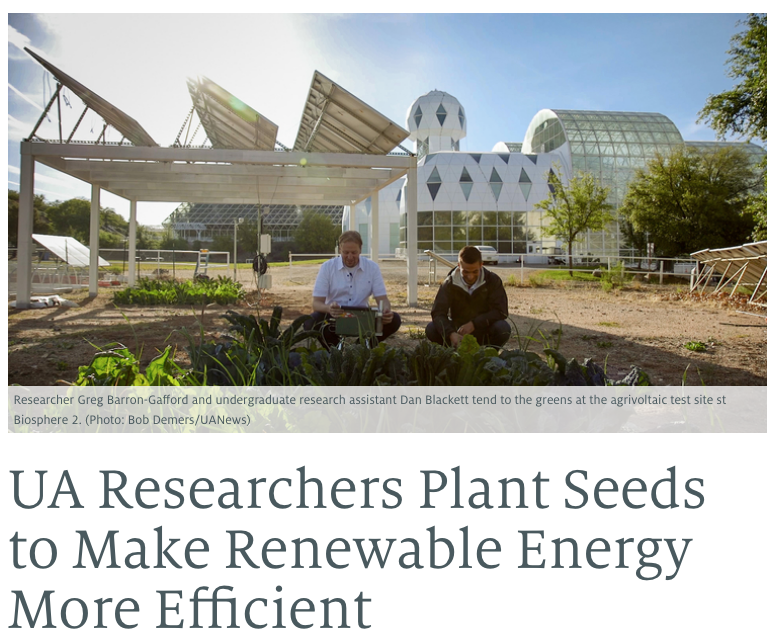 Our research was featured on NPR in the Phoenix area! 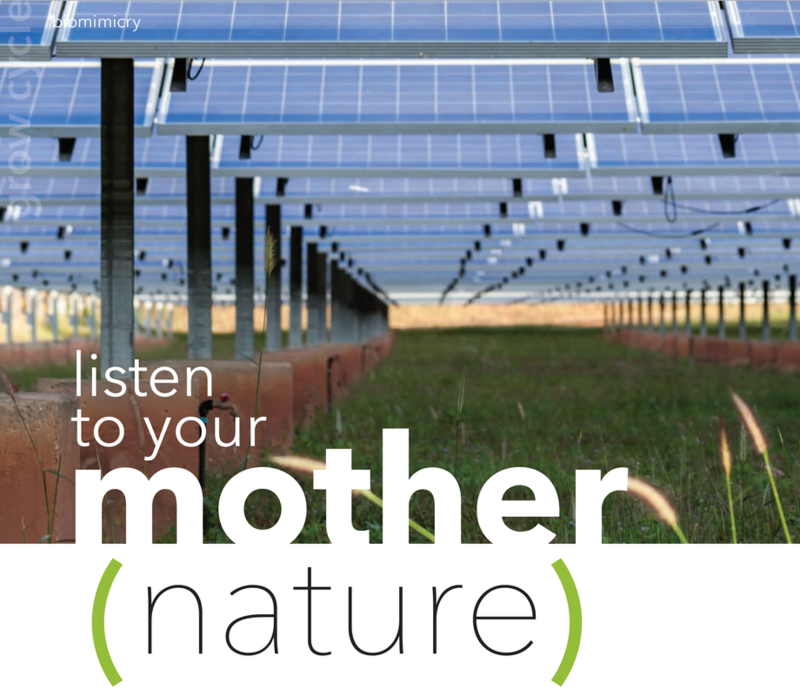 Check out the KJZZ NPR link to hear a brief synopsis. Our project was named as a World Changing Ideas Finalist in both the "Energy" and "Food" categories! 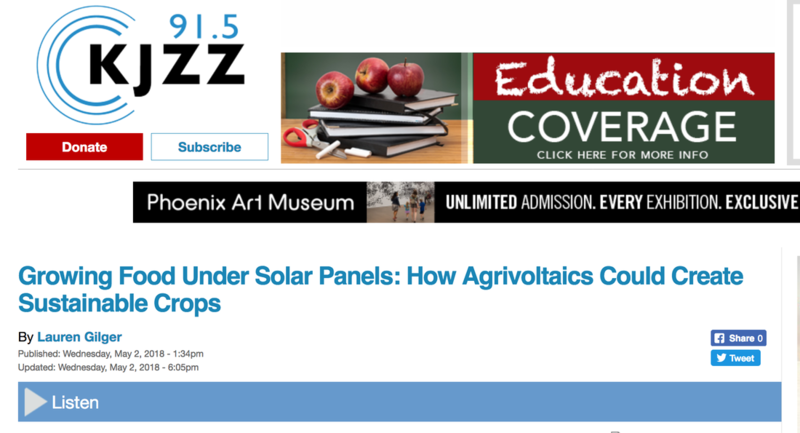 Photovoltaic Heat Island Effect was featured in UANews! or click here to learn more about the research. Leland Sutter has been awarded a National Science Foundation (NSF) Graduate Research Fellowship Program (GRFP) Fellowship! These fellowships are super competitive and acknowledge Leland's tireless efforts and deep thinking about his science. Our research on Identifying and working to mitigate the Photovoltaic Heat Island Effect was featured on ResearchGate's blog! Leland Sutter got 2nd place in the UofA Institute of the Environment Fall Fest Poster Competition! Leland presented on his work on the impacts of brush management on ecosystem services in a semiarid savanna. Leland also won the UofA's Harvill Graduate Fellowhip award to support is graduate studies. Graduate Student Travel Award December 2o15! The award will allow Jesse to travel to Okinawa, Japan, to present his work at an international conference designed to exchange theory, practices and scientific values of Fengshui across Asia, and explore the important role of Fengshui theory in managing local environments and formulate an Asian perspective on environmental management. Russ Scott, Joel Biederman, Erik (The Hammer) Hamerlynck, and Greg Barron-Gafford published in Journal of Geophysical Research! The work came online in Dec. 2015! were awarded a grant through the USDA! The project is titled "Brush Management And Ecosystem Services: A Quantification Of Trade-Offs On Western Rangelands" and will be a very interdisciplinary approach to understanding how woody plant encroachment and removal influences water resources and ecosystem functioning. We are looking for a Postdoctoral Associate to join the project! National Science Foundation's Hydrologic Sciences Program! aboveground and belowground processes. You can read more here.